PL: Nothing special. I’ve always loved creating- painting, drawing, music, drama. Seemed natural to make movies, but it wasn’t until I was asked to make slideshows, promos, and skits for churches, ministries, and different groups that it became something more. I love it. There’s nothing else I want to do. PL: It’s a comedic promo for a baby-carrier device invented by a local entrepreneur. It’s called, “Carry-Safe”, and we made it in a short film format. Pauline (played by Jami Haber), a stressed young mom is having a typically difficult start to her day. She encounters someone who has a device that could make her life a lot easier. I’m the DP and Editor of a “Just Media” documentary production about the children of latino immigrants, in collaboration with Denise Soler Cox and Henry Ansbacher, entitled “ñ”. I’m also finishing up post-production on my newest short film, “Dishwasher,” and have started the production company, “Red Mesa Films”. PL: peterlively.com is a start. I also have a youtube channel, a vimeo channel, and I’ll soon have a Red Mesa Films website. 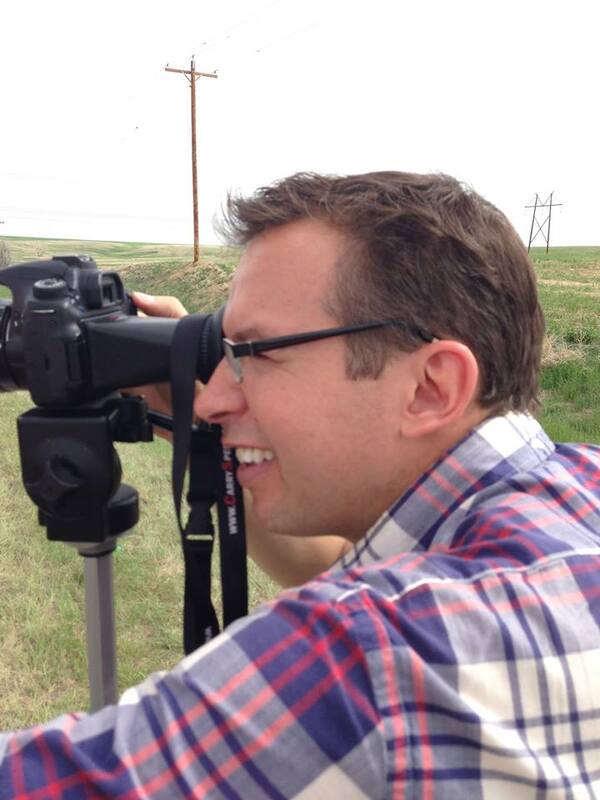 PL: It’s a gift to Colorado filmmakers and film enthusiasts alike. I don’t know if many other major metro areas have something like this. No pretension or haughtiness. The EFP is a true celebration of independent film. Carry Safe will screen September 19th at The Emerging Filmmakers Project. BH: Coding websites is boring. Getting your friends together and telling stories is much more satisfying. 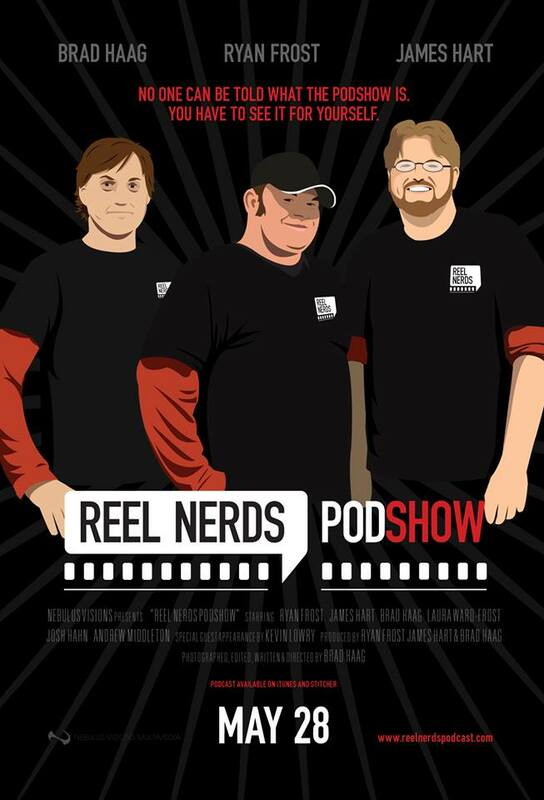 BH: I’m screening the first episode of web series the “Reel Nerds Podshow”. It’s an exaggerated account of the lives of three movie podcasters in Denver. Crazy hijinks ensue. Q: Has it screened elsewhere and what are your plans for it? BH: It has previously screened at Open Screen Night and Denver Comic-Con. There are six episodes in the first season, and if things go as planned, there will be another six. The internet is over-saturated with movie podcasts. We wanted to set ourselves apart by producing films, not just critiquing them. As we move ahead, we’re including other Denver filmmakers in the project. BH: Right now, I’m editing episode 3/shooting episode 4, and then I’ll be finishing the other 2 episodes and co-producing Eileen Agosta’s feature film “Trauma”. Somewhere in between that I’m trying to animate a cartoon show and draw a graphic novel. Oh yeah, and podcasting every Friday. BH: This one is weird because I’m also in front of the camera this time. But only out of necessity. I guess we could have hired someone to pretend to be me, but that dynamic could have been weird when the other two leads are played by themselves. BH: Please explore my portfolio at nebulusvisions.com. I redesigned it after extensively learning CSS and HTML5 for about a year and then abandoning all that work and just converting to WordPress. And of course check out reelnerdspodcast.com for the podcast stuff. BH: Every month, the EFP gives me an opportunity to engage with my peers and review their work. It’s a valuable asset to the Denver community and I’m always looking forward to the next one. Reel Nerds Podshow Episode 1: Gay for RDJ will screen September 19th at The Emerging Filmmakers Project. DQ: There is no why. I tried it once, at a party maybe–I don’t know. And a couple days later I wanted to do it again. And again. And now I live under a bridge arguing with myself about bokeh and shutter roll. DQ: I’ve shot a few, but this is the first music video I’ve ever produced and directed. With an actual client, as opposed to some sort of sneaky personal art project. This is a pre-release screening, but the band has big plans for it later in the year. DQ: A gentleman never tells. You Don’t Know Me by Lost Caravan will screen September 19th at The Emerging Filmmakers Project. PS: I decided to get into video & film production about 14 years ago after reading Ralph Rosenblum’s book: “When the Shooting Stops, The Cutting Begins”. He was the editor for most of Woody Allen’s early films. I thought I wanted to be an editor because of the control they have over how the story is told. After attending technical college, I realized that I was interested in many other aspects of filmmaking, especially photography. PS: “Kerouac’s Denver” is inspired by the portion of Kerouac’s novel, “On the Road”, that took place in Denver. It’s an autobiographical tale of young guys getting out in the world and experiencing life to its fullest. The film is going to premier at the Trinidad Independent Film Festival on Saturday, September 14th. I’ve also entered the short in the Denver Film Festival & am in the process of scheduling a screening at the Deer Pile Event Space, above City O’ City on 13th & Sherman. PS: As far as filmmaking goes, I’m mainly focused on distributing “Kerouac’s Denver” at the moment. My friend Eddie Portoghese and I are in the early stages of conceptualizing a joint project but it’s very early days. PS: I don’t know how weird this is but I gained most of my experience in this industry working in New York. Like most people in this industry, I started out working as a PA on a variety of projects before becoming a camera assistant. PS: With regards to the EFP, more than anything else, I’d like to say thank you. I think it’s vital for a filmmaking community to have a resource like the EFP so that we have somewhere to go with our projects. While it’s great to post our films on the internet, being able to screen them in front of an audience is really special. In my opinion, the immediate response from viewers to our films is more telling than the most glowing comment on the web. Kerouac’s Denver will screen September 19th at The Emerging Filmmakers Project. JH: I became a filmmaker because it’s the best way I know of to create an alternate artistic reality — that lives outside my head. JH: Neuroplasticity is what you shall see at the EFP. It was shot on super 8, and is experimental in nature. This film has not screened elsewhere. It is, in fact, not my film but a work for hire that I did for a band: Kitty Tooth Salad. JH: One weird thing about me: I like to walk around in a GOTH ROBOT trash can outfit (often risking my life in the process (which is as weird as it is stupid) and refuse tips…I just do it to distract folks from the mundane. One weird thing about my films is that I enjoy incorporating footage of the police kicking my crew off stolen locations. JH: The EFP is very accommodating in that a venue is provided that caters to works that might not otherwise be seen, and live feedback is encouraged. Neuroplasticity by Kitty Tooth Salad will screen September 19th at The Emerging Filmmakers Project. Taking a break from re-writing “Indiana Jones and the Kingdom of the Crystal Skull”, our Mark Mook was able to trap Kevon Ward in his web long enough to answer a few questions. MM: Why did you become a filmmaker? KW: My background is SFX, but in general I just love entertainment. Through film, your work and legacy can last forever. MM: What are we going to see at the EFP? Has it screened elsewhere and what are your plans for it? KW: I will be showing my “Making of the Spider” video. A step by step video of how my animatronic was built. It has been aired at the Oriental Theatre and will be featured in the upcoming indie film “Gray Matter”. MM: What else are you working on? KW: An animatronic head, SFX makeup, set design for the 13th Floor, illustration and graphic design and acting in a few upcoming films. MM: Tell us one weird thing about you and/or your movies? KW: I have a fetish for creepy, crawly things. This is why I made the spider originally. I’ve had many tarantulas, scorpions, snakes, rats, etc. MM: Where can people go to find out more about you and your work? KW: For now Facebook under Kevon Ward. Soon I will develop a website and some more demo reels. MM: Is there anything you’d like to say about The Emerging Filmmakers Project? KW: These events have helped me come a long way in networking and landing film opportunities. MM: Thank you Kevon for taking a break from creating creepy-ness and bad dreams and allowing me to interview you. You can come see his work Thursday June 20th at The Emerging Filmmakers Project. 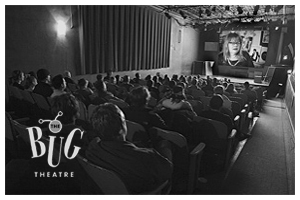 The Emerging Filmmakers Project is held every third Thursday at the historic Bug Theatre, 3654 Navajo St., Denver CO. Doors open at 7:30pm and films start at 8. Taking a break from saving the planet from the eventual alien invasion, our Mark Mook was able to get the low down from Raoul Vehill on his latest screening, “The Low Down Dog” trailer, at the June 20th EFP . RV: My best friend & I found his dad’s super 8 camera when we were in the 4th grade & we somehow made a 3 minute, 1 reel, in camera edit, stop motion, sci fi, silent epic that somehow told a story, was in focus and lit. His dad had movie lights too. RV: The Low Down Dog trailer which screened at the last 5 minute Film Fest at the Deerpile. We’ll screen it at Open Screen Night at the Oriental and a friend is screening the Avengers in her backyard on Saturday night and I want to crash that party. Low Down Dog itself is a 35 minute experimental crime thriller which will premiere at the Oriental on August 7th at 8pm. RV: Mostly promoting and crowdfunding for Low Down Dog to send it to fests. I have files of notes or scripts for about 5 projects but I’m working on changing my attitude and SHOULD be working on becoming a used car salesman or finding a real job. RV: I’ve stopped and come back to filmmaking because it doesn’t make sense to do it or not to do it. With punk rock and writing novels too but mostly with movies. It makes absolutely no sense but the reason I don’t stop is because I don’t know how to do anything else. RV: I’m totally grateful to have, in the 1st place, a place to come and see great local work, and in the 2nd place, amazed and humbled that you’ll screen my work. Thanks! MM: Big thanks to Raoul for taking time to be interviewed. You can come see his trailer Thursday June 20th at The Emerging Filmmakers Project being held every third Thursday at the historic Bug Theater, 3654 Navajo St., Denver CO. Doors open at 7:30pm.